My daughter could say the word “hydrangea” and properly identify them before she was 3 years old. She knows they’re my favorite flower, and anytime she sees one she gets just as excited as I do. Hydrangeas have always been my favorite, even before I got in to gardening. They really start blooming right in the middle of the summer when everything else in my garden is just starting to come together. My hydrangea bushes are still babies and don’t produce tons of flowers, but there are some around the city that are so beautiful, overflowing next to a fence or walkway, or serving as a hedge. There’s a house nearby that has giant white hydrangea bushes on either side of the front entrance, and pink climbing roses on trellises on either side of those. Jealous! I love hydrangeas so much that I sometimes dream about them. My vision has been to have them all along my white picket fence on the side that divides our property from our neighbor’s. Sometimes, though, my garden dreams are outside of reality simply because of budget. 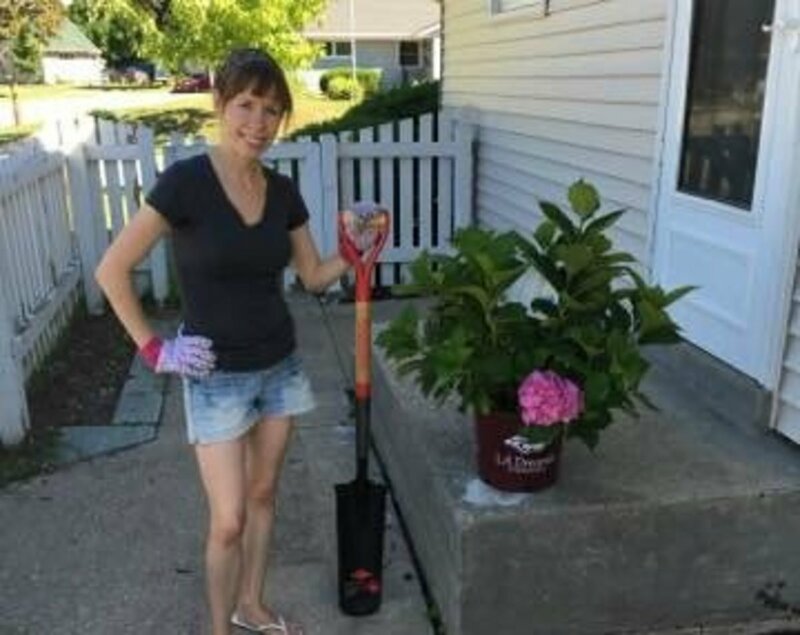 When I headed to the garden store last year with this dream in mind, it was quickly shot down when I found out that hydrangea bushes cost $50 for each one. Luckily, I’m not in a big rush to fulfill my hydrangea garden fantasy. Also luckily, once you have one hydrangea bush, there is a pretty easy way to reproduce it at home. Propagation, or the reproduction of a plant using cuttings from a mother plant, has a very high success rate with hydrangeas. I decided last August to take some cuttings from the one bush I did purchase and try it. 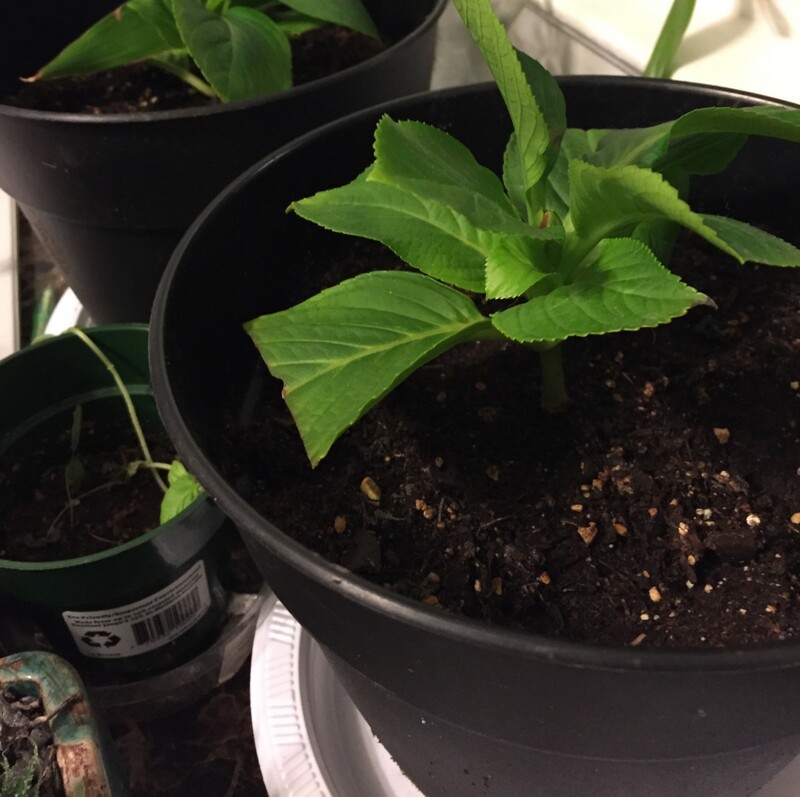 I now have two healthy little hydrangea plants that are going to be ready to plant outside in a few months when the weather gets warm. It will still be a few years until my yard is filled with showy beautiful mop-head flowers towering over my picket fence, but when it does happen I’ll feel even more proud knowing they all came from one little bitty bush I bought for $50. In this post, I’ll explain a little more about what propagation is, what’s the best way to do it, and how to care for your cutting until it has properly rooted and is ready to go outside. Soon you too will be on your way to a backyard full of beautiful hydrangeas! 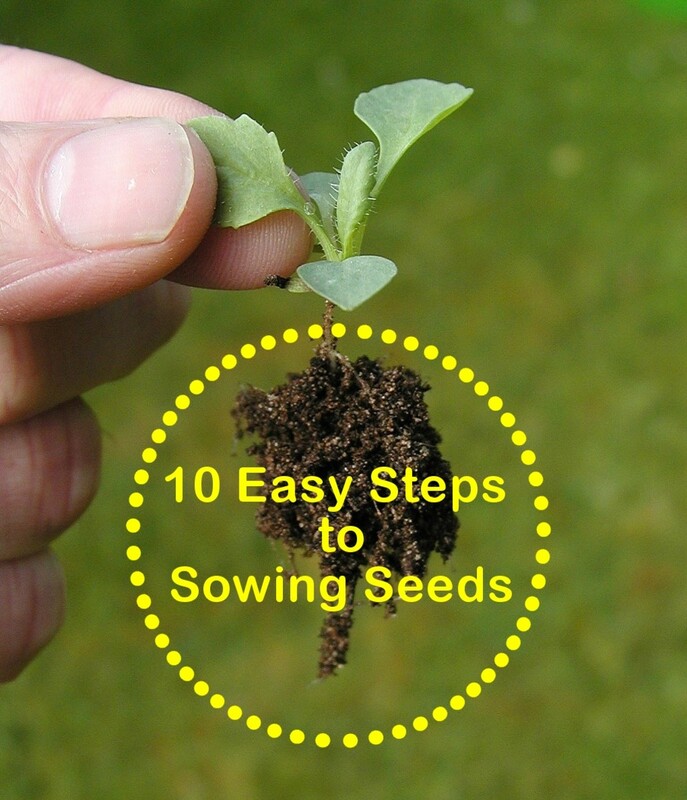 Propagation is a means of reproduction using parts of the parent plant, rather than seeds. When using propagation rather than seed planting, you are guaranteed to get a clone of the original plant. 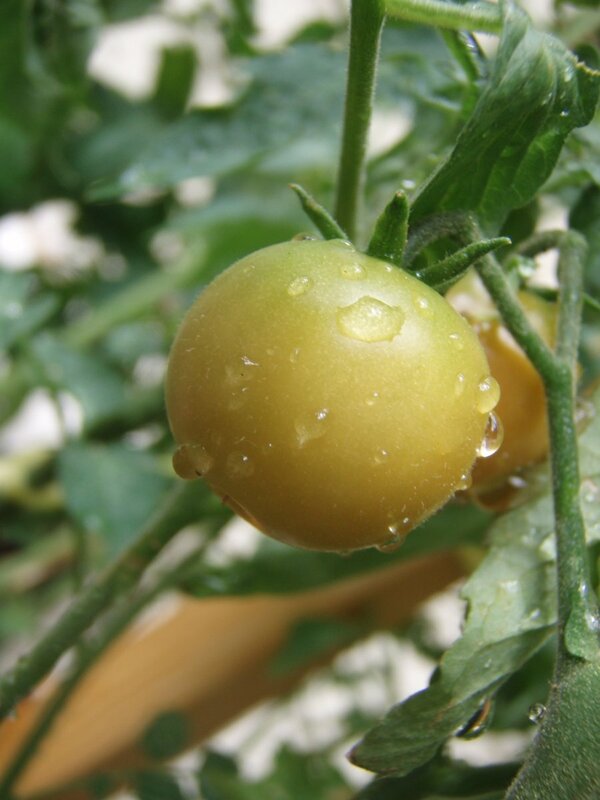 Seeds, however, can result in different looking plants, since they could be a result of cross pollination. Many nurseries use propagation as a more efficient and predictable method of reproducing plants. In nature, hydrangeas reproduce sexually. Pollen is blown by the wind, fertilized seeds grow inside the flowers, and when the petals dry the seeds from inside are scattered naturally or drop to the ground and take root. Hydrangea seeds purchased commercially are usually hard to grow. Rooting hormone is a powder made up of a synthetic acid, usually Indole-3-butyric acid, that stimulates root growth from a fresh plant cutting. 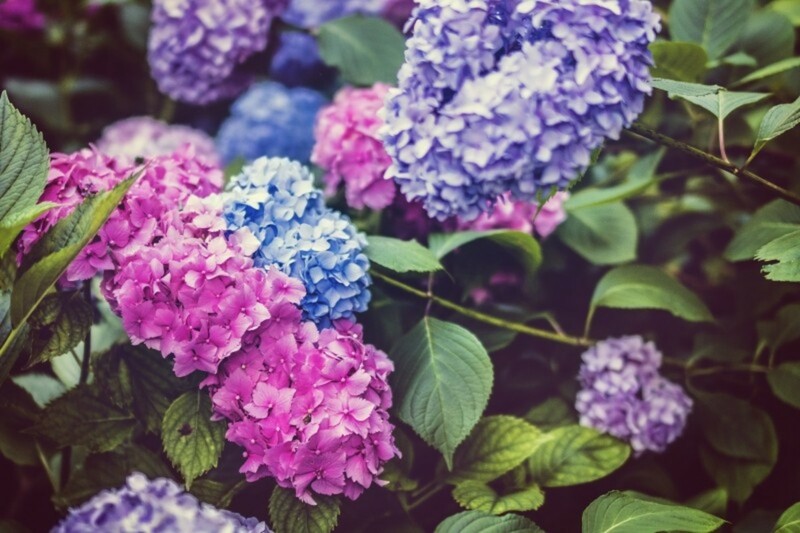 While rooting hormone is safe for ornamental plants and shrubs like hydrangeas, don’t use it on fruit trees or any other plant that will be used for human consumption. 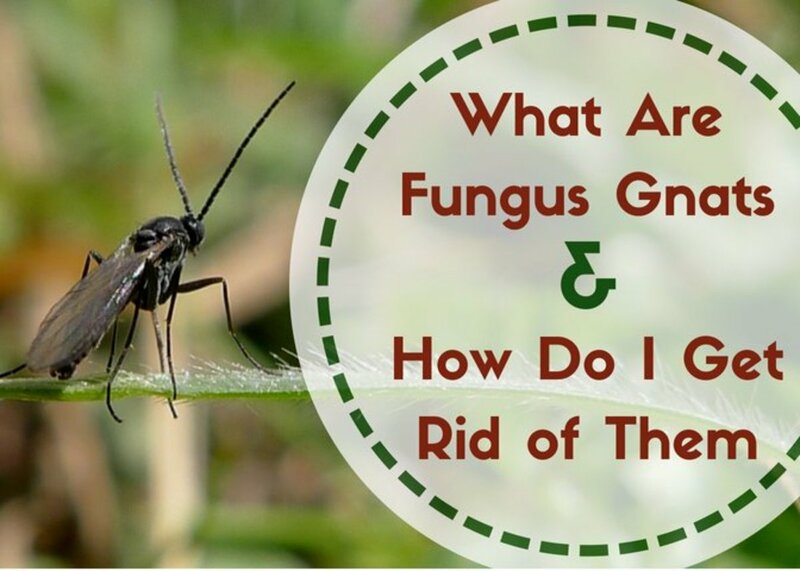 If you are concerned about chemicals, there are ways to make your own homemade organic rooting hormone, usually from weeping willows that contain an ingredient which behaves similarly. 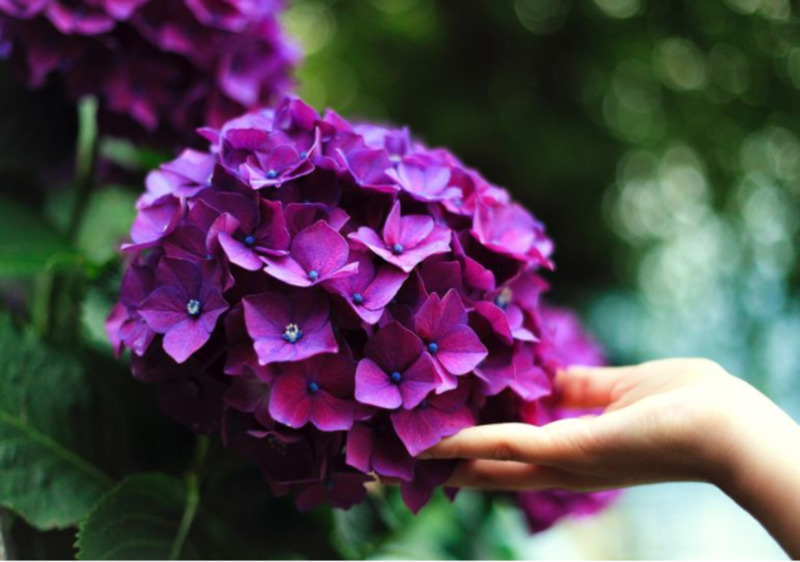 Why Should You Propagate Hydrangeas at Home? 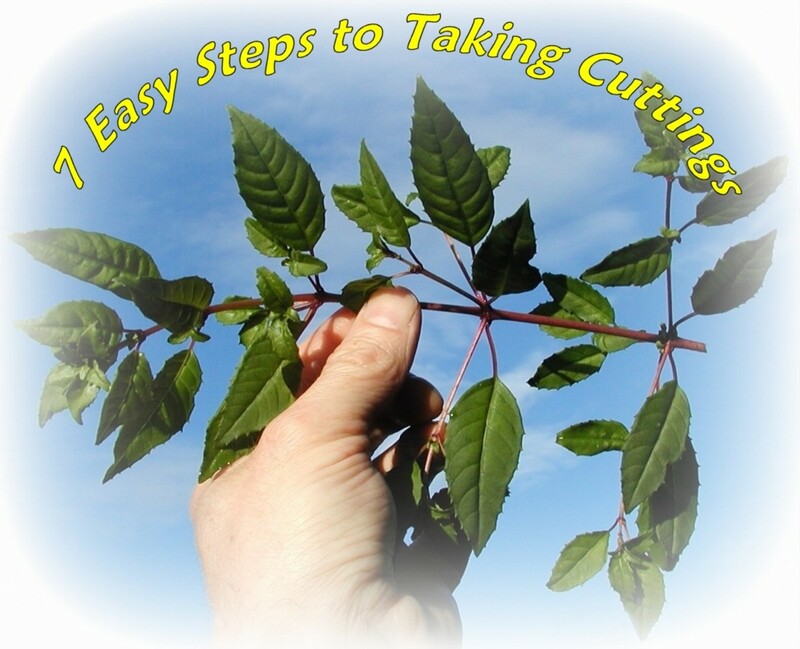 Propagating your own cuttings saves money. It guarantees a clone of the original plant you bought at the nursery. It’s also a fun little project that is easy to do. You can root hydrangea cuttings and gift them to friends or neighbors. Some even make a small business out of selling rooted cuttings, although if you go that route it’s important to check if the variety of plant you’re reproducing is patented. Fill the planter ¾ full with the seed starting mix. Use the pencil to poke a hole a few inches deep in mix. 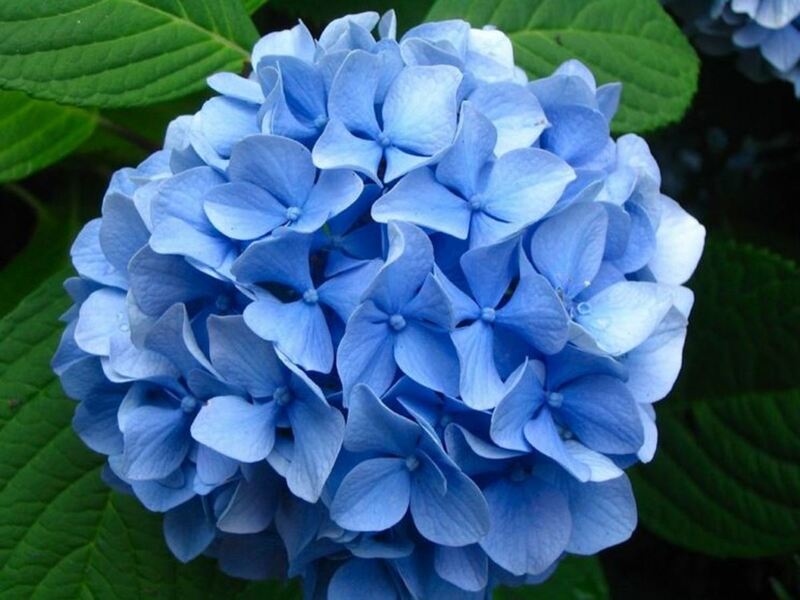 Pick a healthy stem from the original hydrangea bush that has 2-3 sets of leaves on it. Using sterile scissors or shears (you can use rubbing alcohol or special garden tool disinfectant), cut about 6 inches down from the top, about ½ inch below the second pair of leaf nodes. Strip the set of leaves closest to the cut. Leave the top set of leaves intact. Cut 2-3 of the remaining leaves in half. Pour a teaspoon amount of rooting hormone into a paper cup. Dip the cut end of the hydrangea into the rooting hormone. Insert the cutting cut-side down into the seed starting mix. Using your fingers or a plastic spoon, push the mix very gently around the cutting. Monitor your cutting. Only water it if the soil is dry to the touch. After a few weeks, try tugging very gently on the stem. 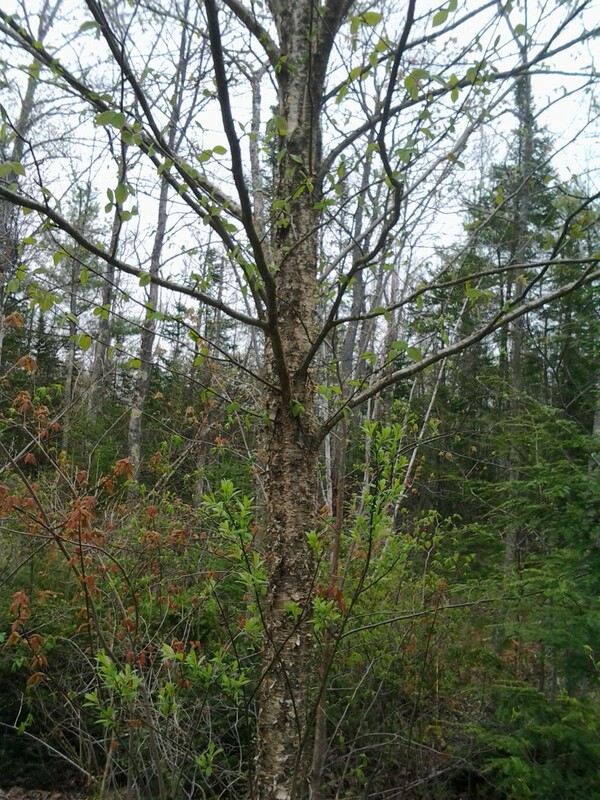 If it resists, then it has rooted, and you should soon start to see new leaves growing. Getting the hydrangea cutting to root is often very easily. The difficult part is timing, and getting the cutting to survive indoors until it can be transplanted outside. Try to do this propagation method in early summer if possible. That way, the cutting can root and be planted outside before it gets cold. 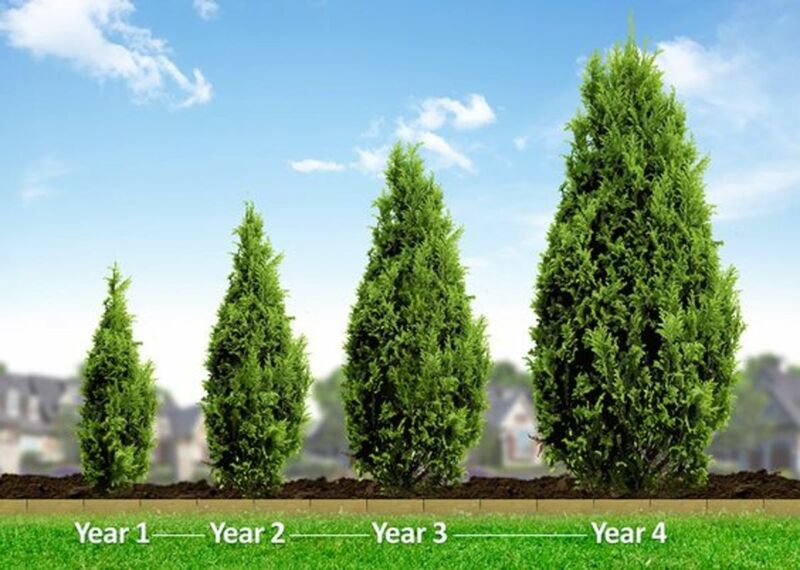 If you are able to time it this way, harden off the new plant (place outside for a few hours each day in semi-shaded area, increasing the duration a little each time), and when it shows no sign of distress when outside, plant it where you want it to be permanently. Pick an area that will receive full sun to partial shade. Cover heavily with mulch so it will make it through the winter. If you take cuttings from your hydrangea plant in the fall, you will need to take extra care to make sure the new plants survive indoors until spring. Hydrangeas don’t particularly like to be indoors for very long. If they do make it, once danger of frost has passed in spring you can transplant them per the instructions above. Regardless of the time of year you take your cuttings and root them, you need to be patient: you will not have a beautiful 6-foot wide hydrangea bush bursting with giant blooms the next year. It will take this perennial bush at least a year in most cases to start even producing flowers. 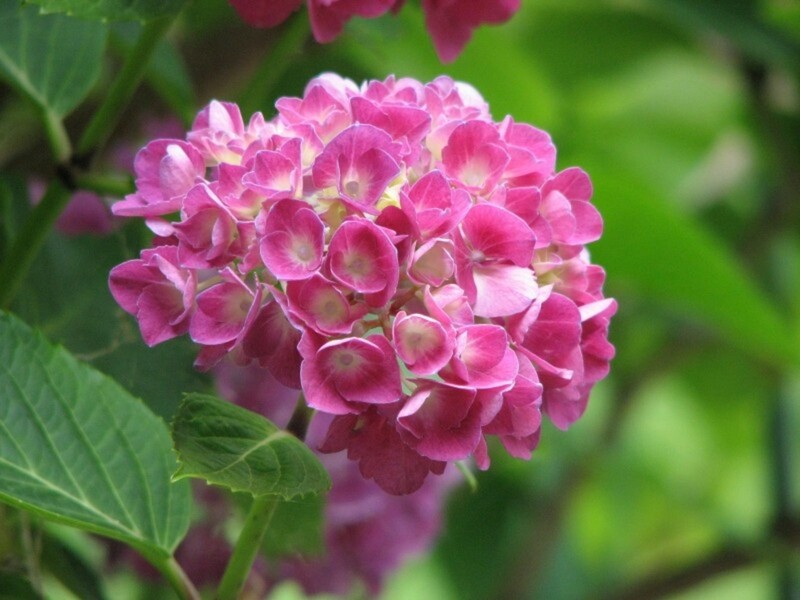 It is possible to alter the flower color of many hydrangea plants by altering the soil content. Therefore, it is possible to take a cutting from a bush with one color flowers, and in the transplanted bush get flowers of a different color. The chemical element aluminum is what has the effect of changing the color. Soil with more aluminum will produce blue flowers, and soil with less aluminum will produce pink flowers. It is easier to add aluminum than to subtract it. If you want pink flowers, try adding phosphorous based fertilizer—the phosphorous can block absorption of aluminum. If you want blue flowers, add aluminum sulfate to the soil. Have you ever attempted to propagate hydrangea cuttings using rooting hormones? If yes I'd love to hear your results! Propagating hydrangeas from cuttings is quite easy, but you must be patient to see the results. In time, you could have a yard full of Hydrangea bushes that all came from a single original bush. Try propagating hydrangeas as fun, cost-effective alternative to paying high prices at a nursery.